If you fancy a few days away from work, away from the city stress, or if you just want to escape for a long weekend with your friends, than one of these mini breaks in the mountains might be of interest to you. These have been selected for you as a great way to escape and recharge your batteries and most importantly, to have fun! 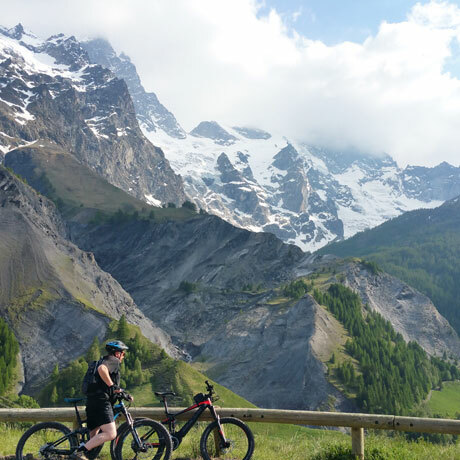 Katarina Kralova, who is a French qualified Mountain Bike instructor and International Mountain Leader, together with her professional team, will take you on one of the following selected trips. Customized and à la carte escapes are possible too, as well as tailor made activities for seminars, incentives and team building exercises. 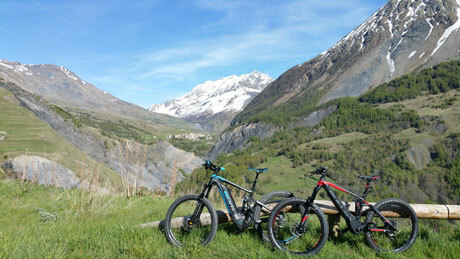 "We let you travel further and faster with high end full suspension Electric Mountain Bikes"
Edelweiss E-Bike Escapes offers half day and full day tours allowing you to soak up the stunning views while pedaling through and up the mountains on a high-end full suspension Electric mountain bike. You can choose between gastronomic routes and sportive routes.